41. As of today, what is your (and spouse’s) total current balance of cash, savings, and checking accounts? Don’t include student financial aid. This question asks for the most current amount of cash in your checking and savings accounts on the day you file the FAFSA. If you’re married, it asks you to combine your current amount with your spouse’s holdings in their checking and savings accounts and report it. 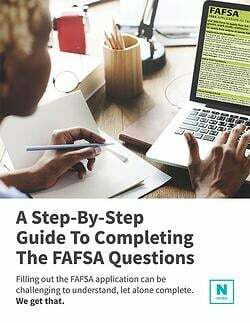 Even though you are also reporting past tax return figures, the FAFSA gathers more current information, such as the answer to this question. to gain insight into your current financial situation. Even if your total balance of these sources is zero, you will still enter a zero.